Russia needs to use every opportunity to inform the Indian Government and public about Moscow’s priorities in regional and global politics and about its views on all issues which are relevant to Indians. 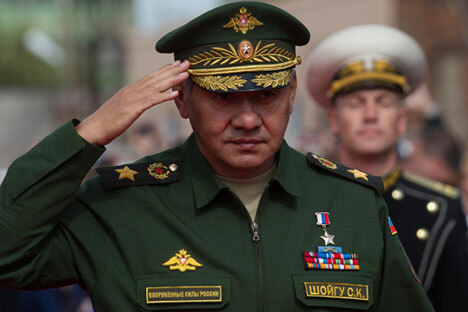 The visit to Pakistan by a large delegation from the Russian Ministry of Defence, led by Sergey Shoygu last month once again showed a particular weakness in Russia-India relations, and in particular, government and public relations. There are at least two reasons that should make the Russian authorities pay careful attention to government and public relations. The first reason is the complicated relationship between India and Pakistan. In the context of this relationship any news about the development of Russian-Pakistan relations can be negatively interpreted in India. The second reason is the existence in political, business and media circles of Indian groups largely focused on countries other than Russia. For this group the above mentioned weakness in Russia-India relations is a gift which they will use to criticise Russia and promote the interests of other countries. For these reasons, Russia (and its representatives in India) should use every opportunity to inform the Indian Government and public about Moscow’s priorities in regional and global politics and about its views on all issues which are of relevant to Indians. As it is, Russia often misses the opportunity to effectively use public and government relations. This year there have been plenty of cases showing the weakness of Russian-Indian relations in the area of government and public relations. One of the most notable cases was the July 2 announcement by Rostec Chief Executive Sergey Chemezov about the so called lifting of a Russian embargo on the supply of arms and military equipment to Pakistan. There never was such an embargo in the first place. The issue was about including Pakistan on a list of countries to which Russia could deliver weapons and military equipment. If Chemezov had not made this announcement, the inclusion of Pakistan on this list would have remained an internal department matter, and Russia would have had sufficient time to carry out outreach work in India at political, business and media levels. However, this conspicuous announcement was made and the negative response in India was not slow in coming. Exactly the same thing occurred with the Ministry of Defence’s delegation to Pakistan in November. Most Indians learnt about the visit on the day it took place. Only those who were listening to Radio Pakistan on November 12 could have learnt from an interview with Alexey Dedov, the Russian ambassador to Pakistan, that Sergey Shoygu intended to visit the country. From this same interview it was possible to learn that Moscow had in principle approved the delivery of Mi-35M helicopters to Pakistan. Although Chemezov had already spoken about this in summer, the ambassador’s words were reprinted by the Pakistani media and then by the Indian media. There is little need to write how these words were perceived in India. Commenting on the news concerning Russian-Pakistani cooperation, several Indian experts, for example Admiral (ret.) Arun Prakash, began saying that in developing activity with Pakistan, Russia was attempting to prevent India from sourcing “its defence requirements from alternate suppliers”. The distinguished admiral’s misconception was made possible due to the lack of timely and comprehensive information about Russian policy towards Pakistan available to the Indian public. It would appear that Moscow now holds a trump card, which if used, would show India that it remains a priority partner for Russia not only in South Asia but also around the world. The trump is the upcoming visit to India by President Vladimir Putin in December. And if it can be organised this year, a visit by Defence Minister Sergey Shoygu. This would allow full use of the opportunities for government and public relations. Deputy Prime Minister Dmitry Rogozin, who has visited India several times, doubtless plays an important role in informing the Indian authorities about Russian policy in South Asia. However, government, business and media representatives place greater authority on the Russian president and ministers of defence and foreign affairs. For the general public a visit by Dmitry Rogozin to India is not a significant event, as opposed to a series of visits by top ranking officials who are household names. A visit by a Russian politician to India should always be an opportunity to use all possible government and public relations machinery. This begins with active political contacts, involving different levels of legislative and executive branches of government and concluding with an address to a wide proportion of the population using mass media. While doing so it is not obligatory to talk about the tedious day to day grind of negotiations in the newspapers. It is more important to create a positive environment by talking about something personal, for example, the politician’s first visit to India. In anticipation of, and during such visits numerous interviews, round tables, cultural and other events could be held. Furthermore, there is no need to try to turn every event into a glorification of Russian-Indian friendship and the leaders of the two countries. Constructive criticism, in the right place, can play a much more important role in creating a positive environment than tedious praise. In short, the visit of any Russian government representative to India should be used to the fullest extent to develop government and public relations. But visits, launches of joint projects and other similar events are the culmination of bilateral relations. More important work in the area of government and public relations should be done between these events. Do Russian delegations visit India frequently when compared to delegations from other countries? Apart from a few narrow fields, no. Are many Russian scientific researchers invited to work in academic and analytical centres in India? Are many Russian columnists invited to publish in India? This list of questions could continue. And the answer to many of these questions would be negative. This means that although Russian governmental, academic, business and media organisations do work in the area of government and public relations, for them, India still remains a large space for activity.